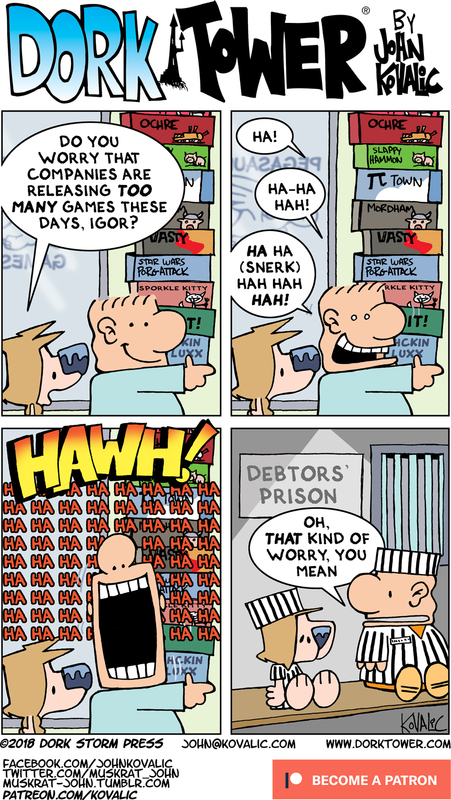 The Patreon campaign for THREE new Dork Tower comic strips every week has begun! Readers’ support is vital. Please consider helping us reach that milestone – and get all the bonus material (plus swag, and MORE DORK TOWERS): JOIN THE FUN (if you can)!